El-Aaiun (Occupied Territories), August 18, 2018 (SPS) - Fifteen Saharawi activists have been victims of aggression by Moroccan occupation authorities as soon as they arrived in the airport of the occupied Western Sahara town of El-Aaiun. The Activists were participating in the ninth Summer University of Polisario Front and SADR (Saharawi Arab Democratic Republic) executives, at the University of Boumerdes (50-km east of Algiers). As they arrived in the airport of occupied El-Aaiun, the Saharawi activists were separated from the other passengers and isolated by the suppression forces of the Moroccan occupation authorities, without giving them any reason. 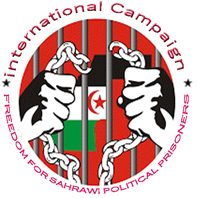 Moroccan occupation forces then attacked verbally and physically the Saharawi activists before taking them, by force, into closed rooms where they were searched in an immoral manner.